If you are looking for the ultimate privacy with no nearby neighbors, or a retreat property, this is it . 400 Mehana offers a pristine and secluded 1/3 mile of Maui's coastline. 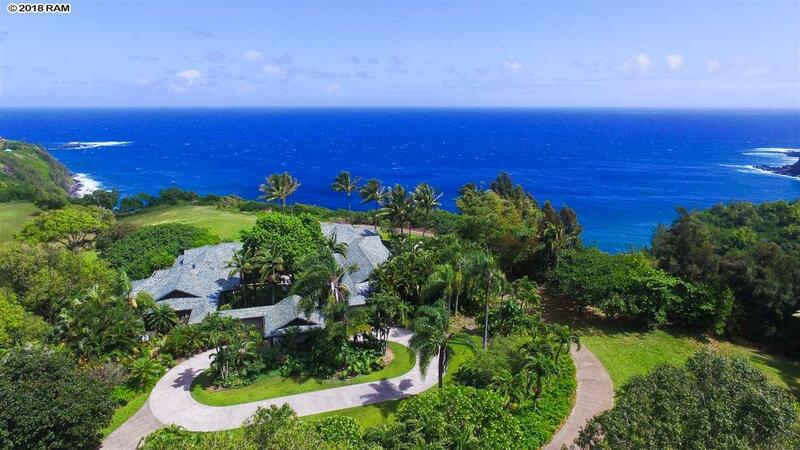 With over 20 acres of oceanfront land, azure Pacific and verdant Haleakala vistas, a hiking trail to the bay and no covenants, this is the Ultimate Oceanfront North Shore Ownership opportunity. Also available are 13 vacant acres adjoining. (402 Mehana MLS#380961- $1, 750, 000) which allows the construction of two more dwellings. The single level main home with 3 spacious and private bedroom suites with their own exterior entries: a chef's kitchen, 3.5 baths, a study, formal dining room, breakfast nook, large living area, and a media room The kitchen is prominent, practical, and allows one to lose themselves in awe of the surrounding natural beauty. The secluded guest cottage perched on water's edge of Uaoa Bay features one bedroom, a full kitchen, 1.5 baths, and the ability to capture your mind, heart, and body. Inspired by nature and adventure, your eyes are soothed by the vistas of the whitewater crashing onto the ocean cliffs, the breathtaking sunrise rise from the East, and the Humpbacks frolicking in Uaoa Bay. Be sure to view full-length property HD video posted here online. Live and love your Hawaii Life at 400 Mehana Rd.